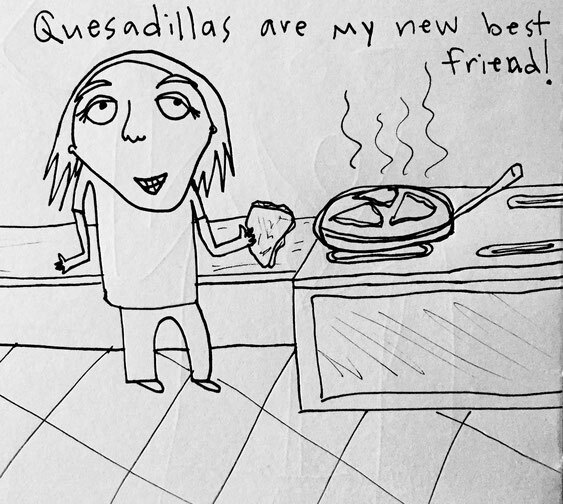 Quesadilla Diet - megandraws's JimdoPage! I made some AWESOME quesadillas last night. Packed with fresh mushrooms and yummy salsa and of course a ton of cheese. I had leftovers for lunch and can't wait to make more again for dinner. I think I could get behind eating this every day. Hmm. How many carbs are in tortillas? Can I keep subbing mushrooms for steak and have this combo be a healthy regular meal?????? 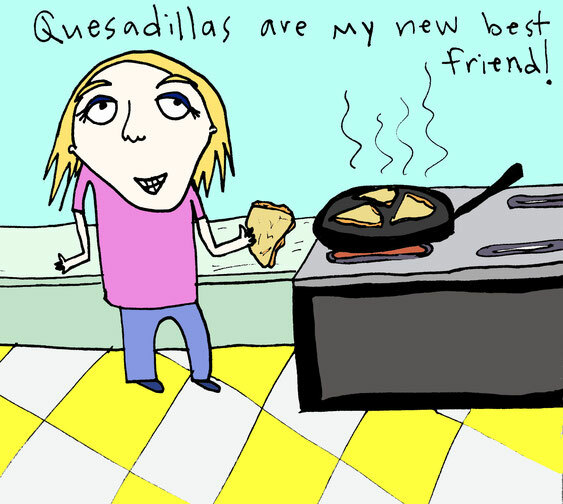 Yeah, I didn't think so.... in the meantime: MMMM QUESADILLAS!